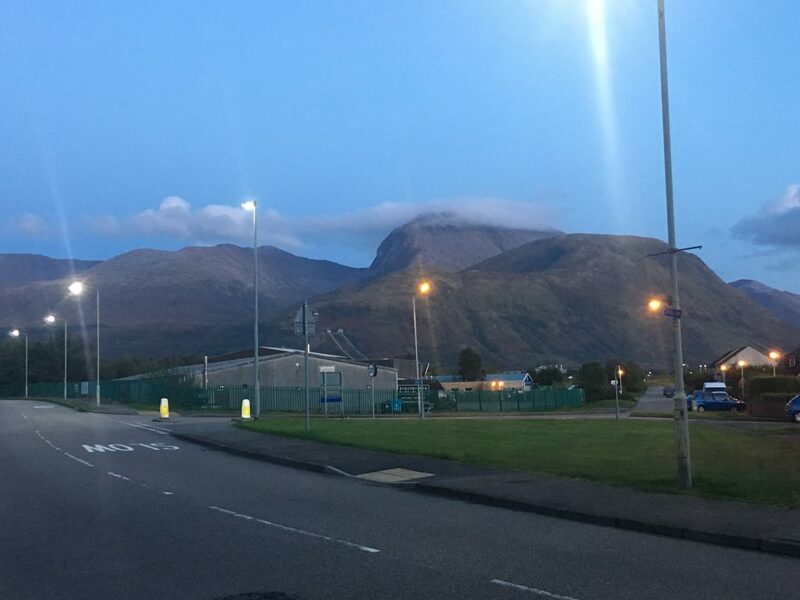 Fort William is a fairly unprepossessing town, more utilitarian than picturesque, particularly in poor weather when the views of Ben Nevis cannot be seen. However it is a central hub for tourism so has plenty of facilities. On our drive east we stopped here overnight as I wanted to take a look in some outdoor shops for a new waterproof – mine is fifteen years old now and with my birthday coming up I thought it might be an idea to treat myself to a more modern jacket – technology has changed with waterproof zips and more flexible fabrics giving a more streamlined fit. Actually the shops were not that inspiring and so I didn’t buy anything, after all my current jacket is still working I can afford to wait till I see something I really like. We stayed in the car park at Banavie right by Neptune’s Staircase, a series of eight locks that carry vessels up the 20 meters from sea level at Fort William to the level of the Great Glen and it’s lochs (including Loch Ness) that make up the central portion of the Caledonian Canal (another Thomas Telford project). There were no boats traversing the locks while we were there but previously we’ve sat enthralled by the progress of boats descending the staircase. The weather wasn’t good enough to enjoy a mountain walk, but had dried up enough to induce us to cycle along the Caledonian Way. We’ve always fancied doing the whole thing but this outing was just to the end of Loch Lochy and back. It was a pleasant bike ride with a nice easy section on the canal tow path, a section of road past some very palatial houses and then a lung-testing off road track above the shores of Loch Lochy. 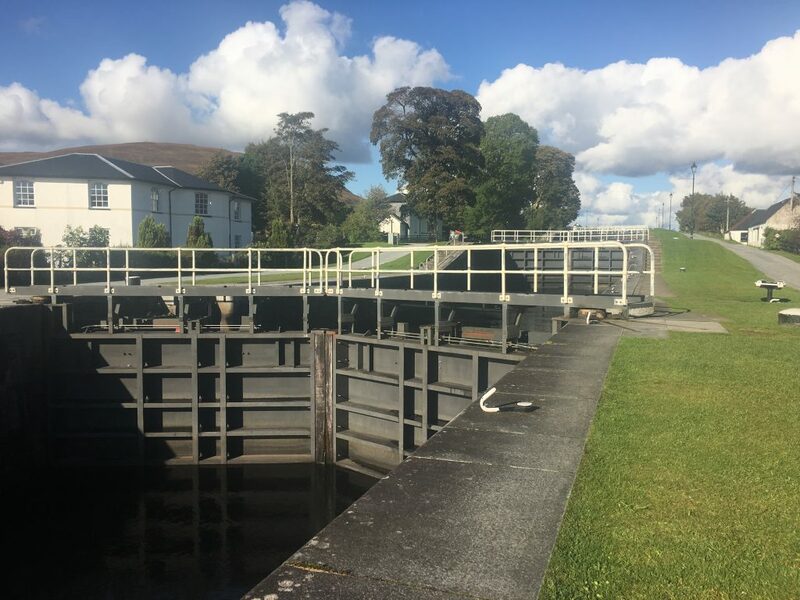 We stopped at Laggan Locks to eat our sandwiches and got talking to a couple who had rented a canal boat as one of their ‘bucket list’ activities. As we cycled back to Banavie the skies started to clear and we soaked up some late afternoon sunshine which put us in the mood for a couple of drinks at the local pub before our tea. That evening Ben Nevis was finally visible over the pebble dashed estate houses of Banavie. After a cold night the following morning dawned damp and drizzly, we pushed further east to end up in the northern Cairngorm mountains on the road through Glenmore to the Cairngorm ski area. The forestry commission parking alongside the banks of Loch Morlich all had No Overnight Parking signs, but motorhomes and campervans were directed to a parking area slightly higher up the valley at Allt Mor. The mountain forecast was giving us a high probability of cloud free summits over these mountains on the following day so we wanted to make the most of it. The parking was actually very convenient for our planned walk, although not as picturesque as a lakeside spot. 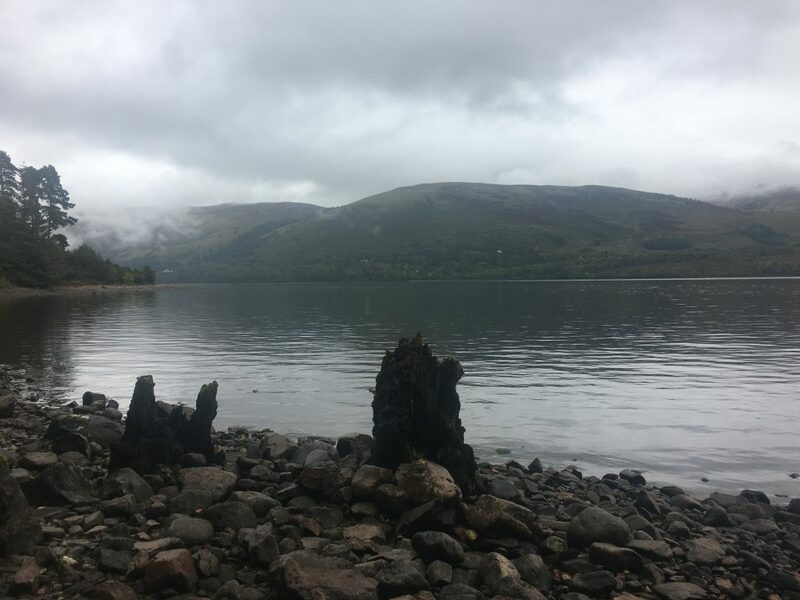 Do you remember the (whatever the collective noun is for) jelly fish we saw swimming up the loch in Fort William when we visited in the early 90s? We paid for that holiday with my student grant – one of the very first UK student grants, and very good value too. I do, although for some reason I thought it was Oban harbour with the jellyfish – so many of them washing around! I didn’t realise you used your student loan for that holiday – I’m sure that’s not what it was intended for!